Cube and sear the meat in a hot pan with salt and pepper. Add to slow cooker. Cook the onions and peppers for about 5 minutes until lightly browned. 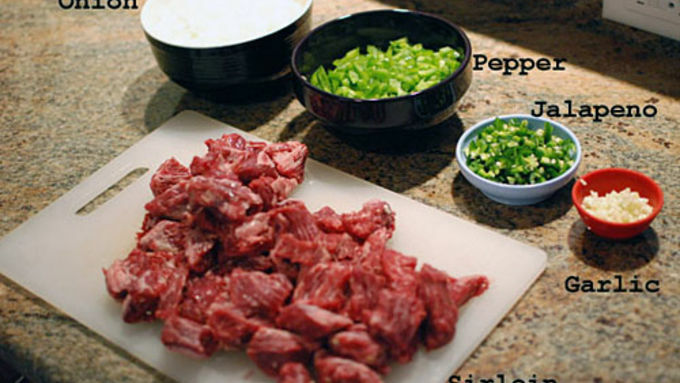 Add the garlic and jalapeños and cook 2 minutes. 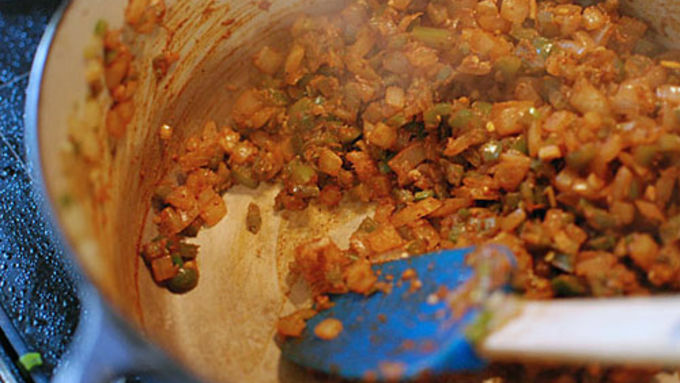 Add the spices and cook another minute. Add to slow cooker. Add your tomatoes and vinegar to the slow cooker and fill with as much chicken stock as it can take. I used about 3/4 of a box to fill my slow cooker. Turn on to high and let it cook about 6 hours. 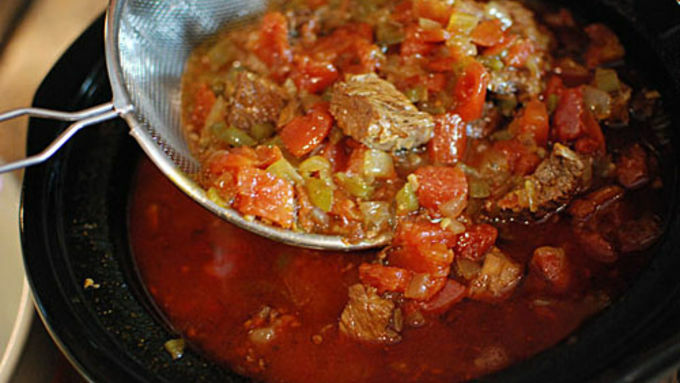 When the chili is done and the meat is super tender, strain the chili over a large bowl to retain the broth. Keep 4.5 cups of broth and put the rest back in with the meat. 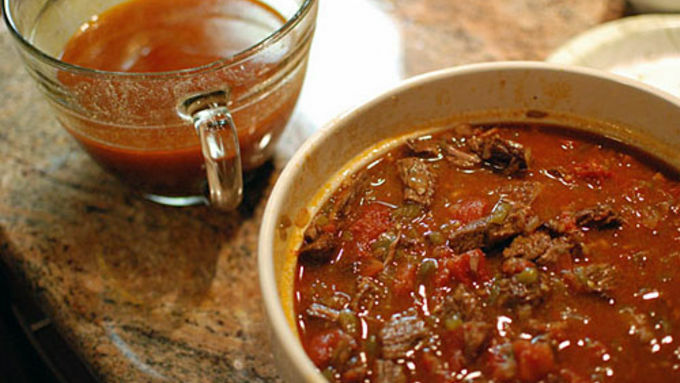 Bring your chili broth to a simmer in a large pot with 2 cups of milk, stirring often. Whisk in the grits, turn down the heat, and cook about 15 minutes, whisking often. 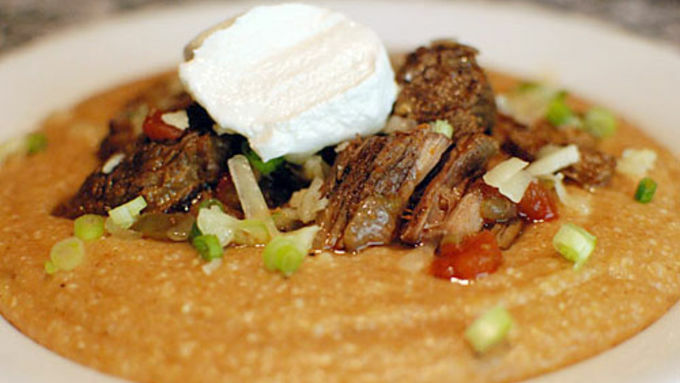 To serve, pour some grits in a bowl and top with chunks of chili. Garnish with cheese, green onion, and sour cream. Note: This is a very basic slow cooker chili recipe. Feel free to use your favorite chili recipe for this dish, but be sure to make it extra brothy! You need to reserve 4 cups of broth from the chili to make the grits. 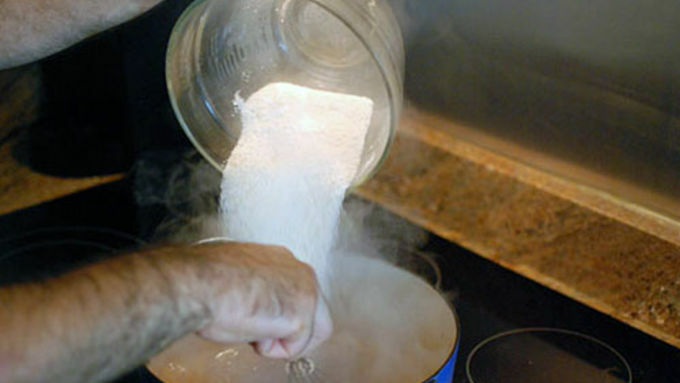 One thing I love about making grits, polenta, or risotto is that the liquid you use becomes the base flavor of the dish. Most people use chicken stock or milk to make these things, but I like to get creative and try out other liquids. That's where this idea comes in. I made a chili, strained out the solids, and used the chili broth to cook the grits! I then served it with the solids from the chili on top of the grits. The resulting chili grits recipe was a great success and I enjoyed the leftovers all week. 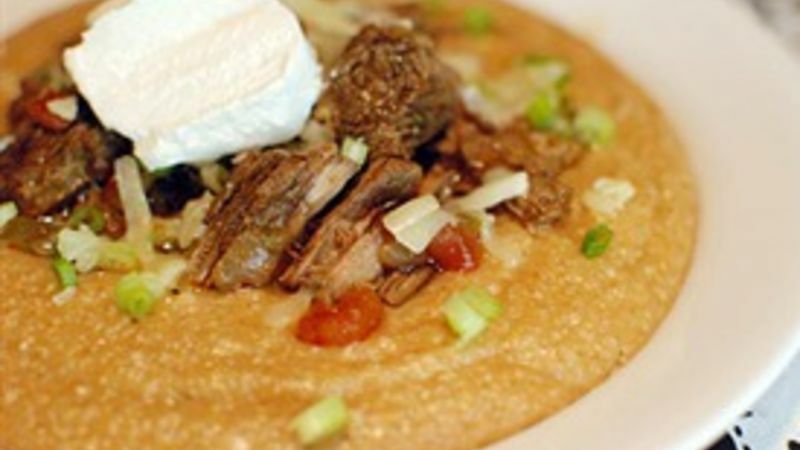 The corn flavor of the grits goes so well with the sharp, acidic and lightly spicy chili. This recipe is a keeper for sure!